The Petal in black with grigio trim is the ultimate in elegance. 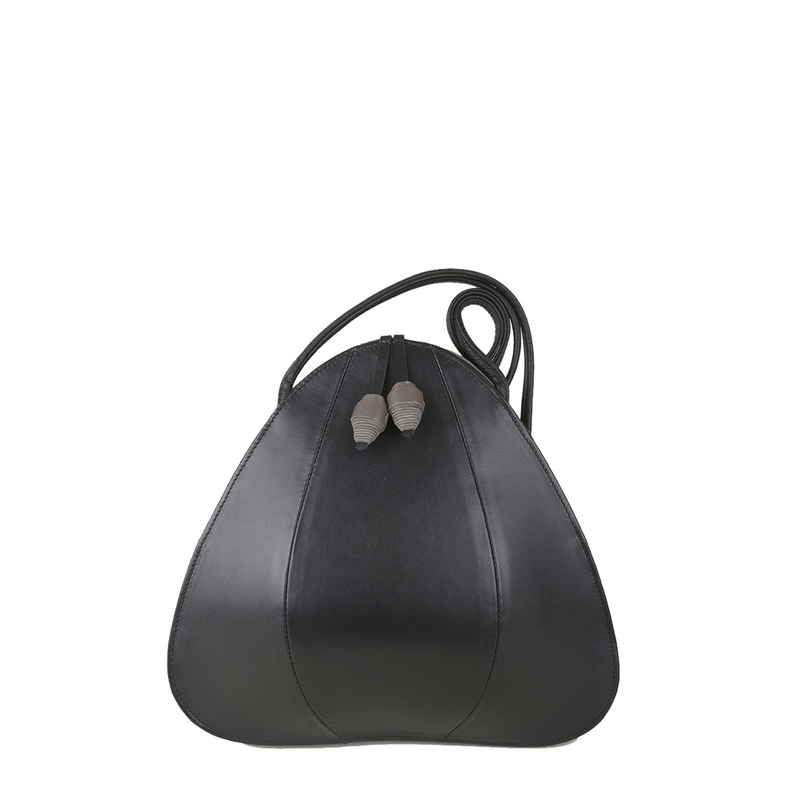 This bag is a design classic, sharp and effortlessly sculptural. 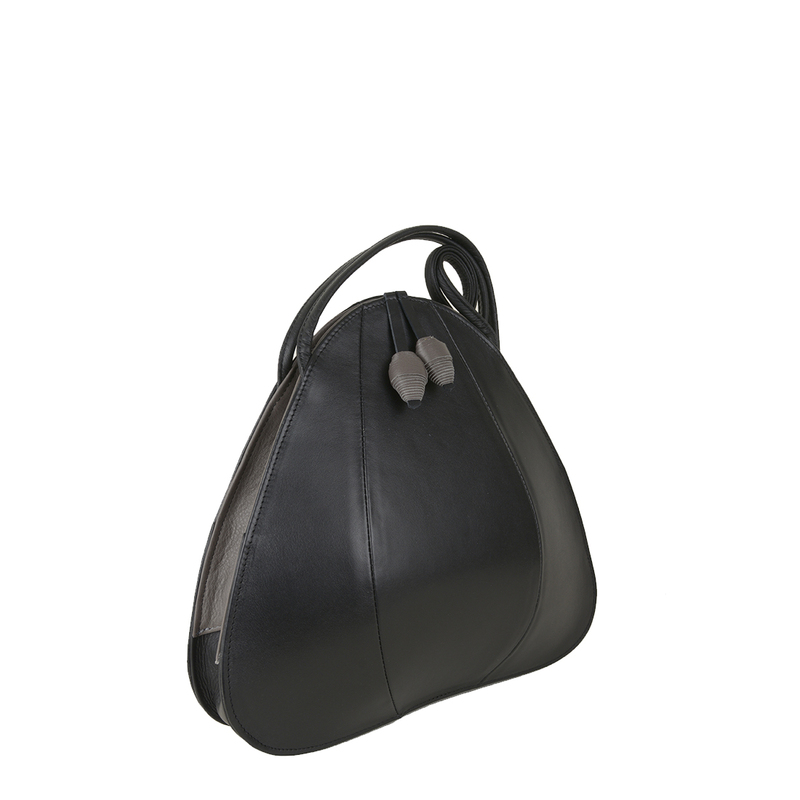 It is a smart day or evening bag with its decorative leather twirls, contrast strap details and zip gusset. 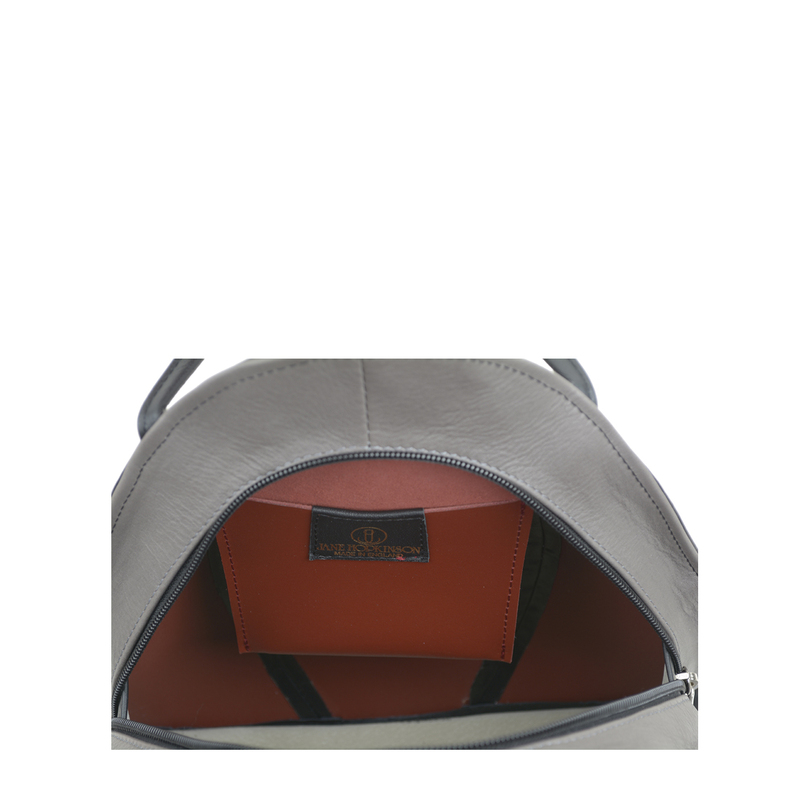 It is all leather lined with inside zip pocket & mobile phone holder.